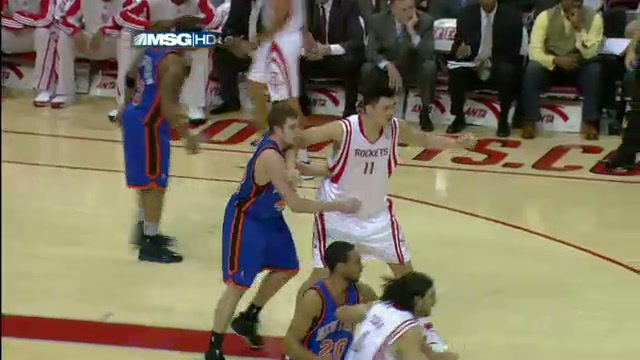 This is an example of an offensive foul for dislodging a defensive player who is in a legal guarding position. Defensive players are allowed to maintain their legally established positions. On this play, the defensive player positions himself legally in the path of the moving offensive player, allowing the offensive player ample time to stop and/or change direction. However, the offensive player moves right into, and through, the legally positioned defender. This is an offensive foul.